I was thumbing through my American Dietetic Association Times publication yesterday and the first article caught my eye: Ten Rule for Better Blogging. Page one. Blogging is hot hot hot! Pick one topic and stick to it. Update early and often — followers want material at least once daily, and internet traffic is highest in the morning and lunch time hours. Tag and categorize your posts. Have realistic expectations. The more you blog, the better chance you have at building an audience. Take the plunge. Just do it! Blogging is a wonderful outlet for leisure, learning, friendship, and beyond! Preheat oven to 375*F. Lightly coat an 8-inch square or round baking dish with cooking spray. Layer the banana slices over the bottom of the dish and top with the frozen blueberries. Set aside. In a medium bowl, mix together the oats, coconut flakes, dried blueberries, brown sugar, pepitas, baking powder, and spices. Set aside. In another bowl, whisk together the milk, egg, 1 Tbsp of the margarine, vanilla extract, and maple syrup. Set aside. Spoon the oat mixture on top of the bananas and blueberries. Pour the milk mixture over the oat mixture, and drizzle with the remaining 1/2 Tbsp melted margarine. Bake for 35-40 minutes, until the top layer is lightly browned and crisp. Allow to cool for a few minutes before serving. Question to the bloggers: Which of the 10 blogging tips do you feel you could improve on most? Question to the blog readers: When you think about your favorite blogs, what makes them your favorite? Appearance? Topic? Pictures? Humor? P.S. Kristen over at Change of Pace is giving away Bobo Oat bars! Enter here! I think those tips would apply to someone looking for “blogging success,” but for me, I don’t like to stick to any rules or guidelines. I just like to be me and be involved in the amazing community of healthy bloggers. I do totally agree that the longer posts easily lose me, so I try to not get to lengthy in my own. Thanks for the blogging tips. I try to be consistent in my blogging every day but have recently fell off that bandwagon…I need to get myself better organized. I agree with most of the blogging tips. I think I could improve on sticking to one topic! I tend to blab about my life, exercise, food, work, and everything else in between. I could probably work on the length of my blogs…oops. As far as reading other peoples, topic always gets me there, but good pictures to go along with the content really help keep my attention! i never tag my posts, i can get too cutesy, and i blog at night. sometimes my posts are hella long too! haha i guess i have some work to do ;). fun tips. if it means anything your blog is one of my faves, it’s always succinct, nails one topic per post, has so much great information esp nutrition related (obviously) and is sprinkled with humor and wit! oooh that baked oatmeal sounds so easy and delicious! so agree with the tips!! I havent been able to blog as much as I like though. (work has me mad slammed right now) But hopefully i will get better at it. Its my goal! Baked oatmeal looks awesome! I love anything with oatmeal so this is so on my to make list. I hope you have an amazing weekend hon! I’ve heard Brothers is an intense movie! I want to see it! Great blogging tips! Definitely agree with most of these! Those are great tips, many of which I try to follow. My blog posts used to be sooo long. Not only was this time consuming for me, but also everyone seems to love quick reads, so I’m really trying to scale back on this. Also, posting in the morning is def. key! That recipe looks delish! Thanks for the tips. I could improve on #5 as I haven’t tagged any of my posts yet. As for what gets me to put folks on my feed list: some are just singularaly for what you suggested and some are a combination of them all. I’m seeing baked oatmeal all over blogs these days. Is it really all it’s cracked up to be? I use quick cook oats and they’re so quick I don’t even want to bother baking my oatmeal. Is it really that much better? It was my first baked oatmeal attempt and it was truly wonderful! I’ll be enjoying it throughout the week! Mmm! Nicole! How cool you are from Oak Park! I actually never made it there – my Mom had too much going on, and my meeting her for lunch was just one thing she couldn’t squeeze in. I went to OPRF – graduated in 1986. The field hockey field I played on is now the two story parking garage next to the football stadium. What draws me to blogs is different depending on the person – I come to you because you always have good facts about diabetes, etc. There are blogs I go to because I know the food photography is great, but overall I like the blogs that feel like I am catching up with an old friend – whether they talk about their child starting kindergarten, or getting in a fender bender – and then there are some I visit once and for whatever reason just move on. Search engines be danged, I like the funny girls. Marisa for example at Loser for Life always makes me laugh so I check her out first pretty much every day. And I love good food pictures. Which is why I read everything Jaime at Embracing Balance posts. She’s a true lover of beautiful food. I like the bloggers who blog like they would speak. It sounds more sincere. The blogging tips are awesome! Thank you for the great resource! 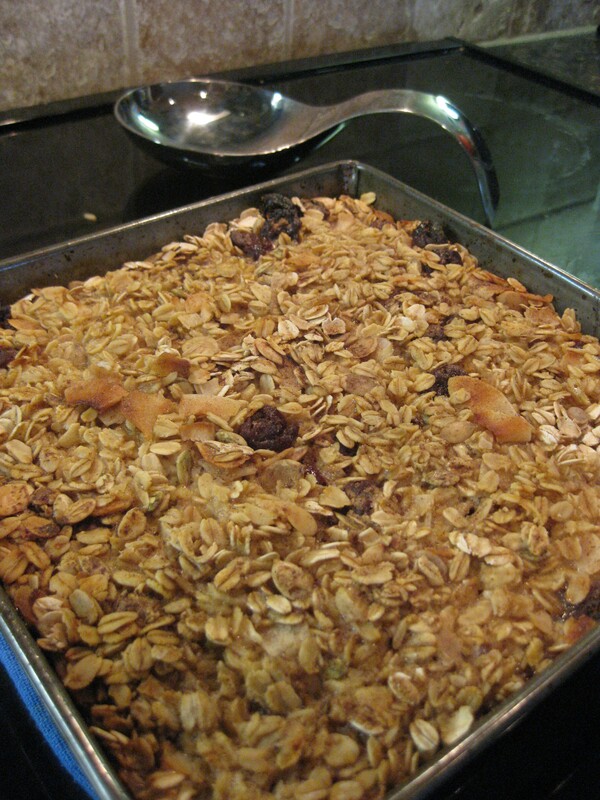 I’m absolutely swooning over your gorgeous baked oatmeal… I would love this for breakfast or dessert! 🙂 SO perfect for winter weather too – I can’t wait to fix it sooooon! I’m sure I could improve on MANY of those tips. I think uniqueness is what I look for in bloggers. I like blogs that can teach me things I don’t already know. That granola looks sooooo good! Happy V-Day!!! ok first off, Happy Valentines Day to you and the hubby!!!!! Sounds like you had an amazing dinner and a great movie!!!! Your baked oatmeal looks so good!!!!! Thanks for sharing the recipe!!! I love the blogging tips!!!! Thanks for those!!! I need to tag my posts, and need to work on making my posts short and sweet!!! The oatmeal looks & sounds great!!! I read a variety of blogs and like each one of them for a different reason. I really appreciate shorter posts that have something (can be big or small) I can take away from them (recipe, idea, inspiration, beautiful phot0, nutrition info…). Thanks for the tips! oooh those oats look great! The tip about keeping your posts short really resonates with me! It’s something I really need to work on. I always intend for them to be short, but somehow I just keep writing! Those are all great tips. I totally agree, sometimes cute wins over SEO. These baked oats look great!! Made a huge batch of oats yesterday. Next time I need to bake ’em! Thanks for the blog tips. I think I tend to get too wordy. It is hard to get through, but so fun to share! Amen to sticking to one topic and keeping it short! That describes the blogs I like most. Unfortunately, not many people do that. They babble on and on. That being said, I do need to make my own posts shorter from time to time! I of course rarely stick to one topic – thats probably due to the fact that I have the attention span of a peanut. Those tips are great. My favourite blogs are faves for different reasons, appearance is really the only one that doesn’t do it for me, but considering the last place I lived it took 3 years to put anything on the plain walls, that has just never been a big deal. Humour is key and I agree I’d rather have some humour that search engines don’t understand. Recipes and Pictures draw me in but without something of substance I rarely linger. That oatmeal looks fantastic, must try soon. Great tips – I’m working on keeping my posts shorter too. Your oatmeal looks yummy!! Couldn’t agree more with those tips! I should definitely link more though. Great tips!! I know I just have to keep updating and providing readers with good info and easy to find topics, etc. You gave some helpful info…thank you! 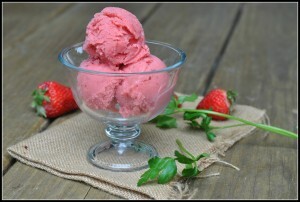 Yummi recipe…looks delicous! 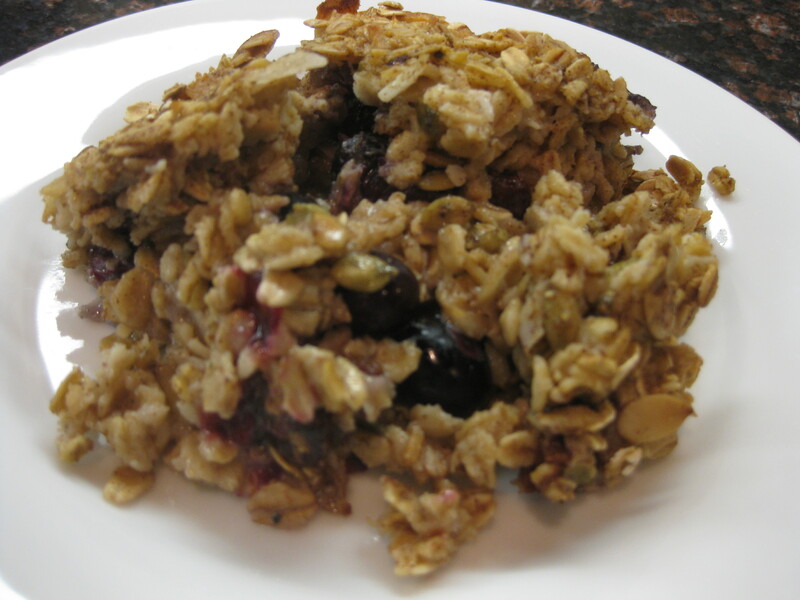 I bet that baked oatmeal tastes like a giant oatmeal cookie–yummy! 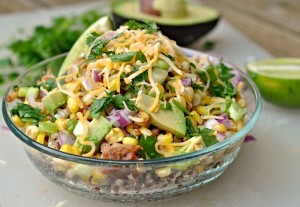 The blogs I read keep me lured in with recipes, but also humor and just general appeal. Wow- so interesting- I’m working on a project on the use of blogs by dietitians and thought the ADA (and Dietitians of Canada here) had ignored the issue … but I guess they haven’t! Do you know if that article is available to the public? !